RSA is proud to share the following essay from one of the 2017 FemInEM Idea Exchange (FIX) Scholarship winners, Aaryn Hammond, MD. Congratulations, Dr. Hammond! “Just go so you can say you went.” I can still hear my mother’s advice echoing in my head 4 years later. Specifically, this was the advice my mom gave me as I contemplated cancelling my interview for residency at Johns Hopkins, as I explained to her all the reasons it wouldn’t be a good fit and therefore a waste of time. I’ve since discovered that my “reasons” were actually disguises for what I now consider to be my personal version of “imposter syndrome” ...the very syndrome that plagued me with thoughts of inadequacy in the face of accomplishments that almost prevented me from achieving my dreams. In considering all the ways the “imposter syndrome” has reared its ugly head, I think back to the high school student that considered forensic science because as a doctor I could potentially hurt someone...the medical student who loved but yet feared Emergency Medicine because I could never be a “Master of all trades”, and finally to the graduate of two historically black universities afraid to interview at Johns Hopkins because why would they want me? This photo reminds me of all that I can do and be when I push myself to persist beyond my fears. 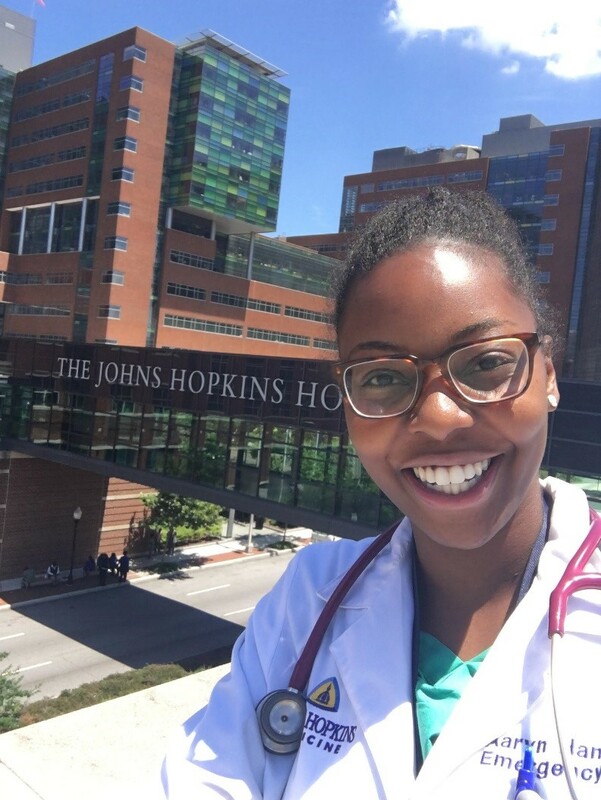 This photo, taken on the final day of my intern year, is a constant reminder of what it means to be a black female emergency physician. It is evidence of the victory over fear and a testament of overcoming in pursuit of one’s destiny. RSA is proud to share the following essay from one of the 2018 FemInEM Idea Exchange (FIX) Scholarship winners, Heather Boynton, MD. Congratulations, Dr. Boynton! On Halloween nine years ago I met my fake husband. I showed up at my best friend’s house dressed as Accident Prone. I had been working at an orthopedic clinic and used the time to craft a costume that included a full leg cast, two short arm casts and a cast hat. Who needs a cast hat? 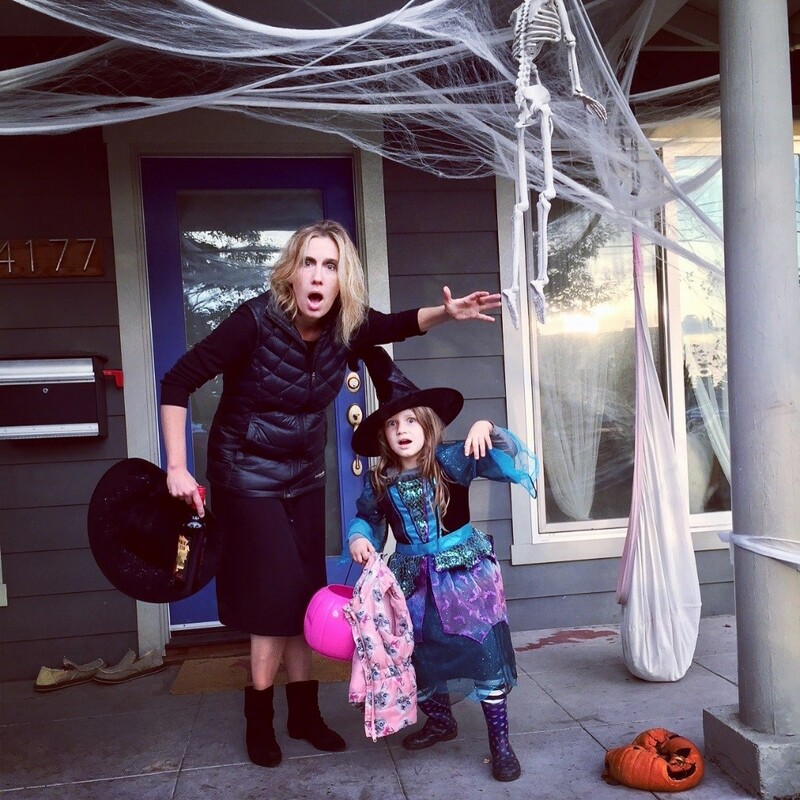 A 30-year-old who had an early midlife crisis, quit her life in foreign policy, broke her clavicle skiing, got out of a terrible relationship and was now going to a Halloween party. It got hot at the party and I took off and lost the cast hat. My fake husband was my best friend’s idea. Long story short, I told her the only not-insulting time I had been hit on was in Germany, when men asked me what books I was reading. She produced a German for the Halloween party. He wore a strange costume. We took a picture with Jesus and Mary, and I thought that was the end of that. Now he’s my fake husband. “Fake” because we never got married. “Husband,” because we have a nice life together, and a 7-year-old daughter who thinks of my EM colleagues as her friends, not mine. Last Halloween my daughter and I dressed as witches. You’d think it would get old, to keep saying, Where my witches at? It doesn’t. It’s the best. It’s like code, for strong and powerful lady people. We were and we are. Wiiiitches.